Whenever the American city of Chicago comes up in conversation, three things spring to mind nigh on straight away. Firstly, I think of the movie, 'The Blues Brothers', because this is where the majority of this film was based. The next thing I think of is the superhero, 'Hawkman', for very similar reasons. And the last thing I think of can be found in the following interview I did with my great mate Ray, whilst he was telling me about his groovy web based comic book -- Agent Solo. 1) What are your own origins, Ray? Plus what path did you take in life prior to getting to where you are today? I’m from Chicago, Illinois, and my love for comics started when I was seven years old. This led early on to my decision of becoming a professional comic artist. I taught myself how to become better in my craft by taking basic fundamental art courses at the Illinois School of Art. Over time I built up my confidence and attended comic conventions, showing my work to editors at Marvel and DC Comics, but no luck. Yet during 1996 I finally got a break drawing short stories for small indie comic publishers, as a penciler for M-Studios comics, Epoch Publications, Silver Tip Comics, and shortly thereafter, started doing my my own creator owned comics in 2005. 2) How did the ‘Agent Solo’ web-comic come about? It’s ‘secret origin’ so to speak. It started as a pitch I entered during 2007's Platinum Studios / Comic Book Challenge, but didn't make the cut. So what I did instead was take the 5 pages I already did for the pitch and just build from that. At first I had no idea what I wanted to do with it, although the decision came after reading and seeing the success of those people who was doing webcomics. Like 'PVP' by Scott Kurtz for example, 'Hero By Knight' by Dj Coffman, and 'Axe Cop' by the brothers Malachai Nicolle (age 5 when the series began) and Ethan Nicolle (age 29 when the series began), which played a huge inspiration to do my own webcomic. 3) In your own words how would you describe this story? 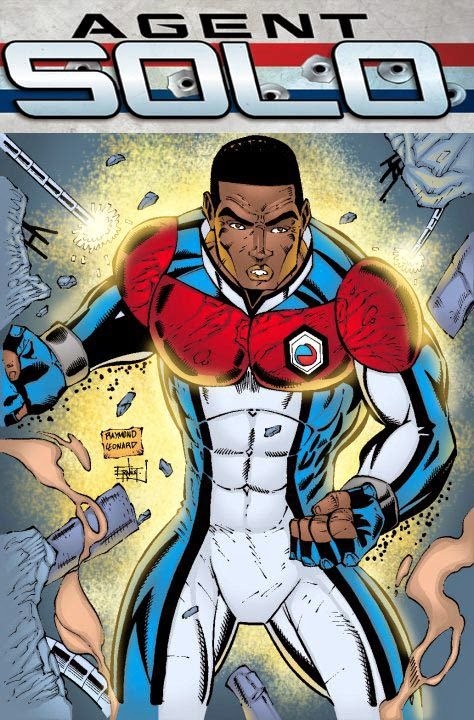 Jackson Brice (Agent Solo) is an ex-covert bionic super soldier that drops out of sight and becomes a vigilante taking down high profile metahuman terrorists and thugs using his way of justice. Regretfully he has trust issues with the U.S. Government, due to losing his best friend and fallen comrades from a mission he felt the Government knew about, which lead to him becoming a solo rogue agent. Terrorism is at an all time high. A terrorist organization called "Chaos of Order" have weapons of mass destruction and threatens to launch them on American soil along with a captive C.I.A. undercover agent. It's up to Brice to prevent it from happening. 4) What song would you say best represents this project and why? Wow! This is a very hard question! Why are you doing this to me? Ha! Well, because I listen to a lot of alternative music and old skool metal, I'm going to go with a Chicago-based trio called 'Chevelle'. It's hard to put into words the emotions you feel when listening to a Chevelle album. My immediate thoughts are along the lines of... WOW. All there songs are full of energy which fits the Agent Solo webcomic perfectly because every panel / page have the same affect as Chevelle’s songs. 5) If you could get a celebrity – either living or dead – to promote your wares, who would you choose, and why would you want to choose this particular person? I would love for Michael Jai White from 'Tyson' and 'Spawn' to play Agent Solo, because I'm a huge fan of his movies, plus he's the real deal in the martial arts, and has a very humble and positive attitude about life. 6) What have you learnt about yourself through this endeavour? And were their any unforeseen obstacles you had to contend with along the way? I've learned that it takes dedication, a lot of hard work, and sleepless nights in working in this business. And it can be very pricey 'production wise' in getting a team together or doing it all by yourself. It's a educational process of learning the in's and the out's of the entire comic business. And that your comics will not have the success you are looking for over night, but if you love your craft and the love just creating comics... the sky's the limit. 7) During your time in this field, what is the one thing that has kept you in good stead? Being humble with a positive attitude. 8) If ‘Agent Solo’ had a motto, what would it be? His motto would be“Truth And Real Justice My Way!”. So there you have it, my friends. 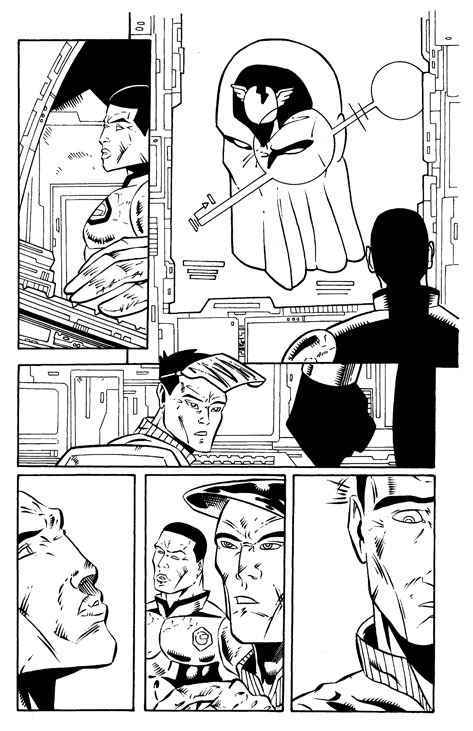 My mate Ray and his great webcomic, Agent Solo. When you have the time please feel free to pay him a visit by clicking on over to his website, his facebook page, and his twitter stream. Furthermore, you can also check out more of Ray's stuff on his blogger and youtube accounts too.